The original Plat of Survey for the Village of Crystal Lake was completed in 1840. This original Plat indicates eight streets and 138 individual lots. An area the size of ten lots was set aside as a public square (today’s McCormick Park). One of the original eight streets was Park Street. This east-west street was located one block south of Virginia Street (Route 14). In 1933, Mrs. Libby Duffy Reynolds approached City Council asking to have the name of Park Street changed to recognize and honor one of the City’s earliest and most prominent citizens. Mrs. Reynolds states, “I have long been of the opinion that there has been too little reverence paid to the memories of the founders and pioneers of our city. I have in mind the specific instance in which we, as a community, owe a debt of gratitude in which is long since overdue.” Thus, a proposal was approved to rename Park Street to “Pierson Street” in honor of James T. Pierson. James T. Pierson was born December 5, 1806 in Orange County, New York. In 1832, James Pierson married Miss Mary C. Woodruff, a native of Suffolk County, New York. In 1840, the couple came to settle in Crystal Lake. The Pierson’s were charter members of the First Congregational Church, which was organized in 1842. Mr. Pierson operated a mercantile store. He was also a farmer, acquiring large tracts of land in the area. Mr. Pierson earned a reputation for his business ability and sterling integrity. He served his community by being a Circuit Court Judge, Justice of the Peace, County Treasurer, and Representative to the State Legislature. During the Civil War, he helped organize the Soldiers Aid Society which assembled relief packages for the soldiers. In 1858, Mr. Pierson erected a large, three story brick building at the southwest corner of Florence and Virginia Street. In this building was a dance hall, stores, post office and other quarters. For many years, a room in the building was used to hold the monthly meetings of the Village Council of Crystal Lake. The building was known as “Pierson’s Block.” In later years, the building was owned by Walter Fitch and was known as the “Brick Block Building” or “Fitch’s Block.” In 1924, the vacant and neglected brick block building was torn down. In its place, a gasoline station was erected by J.H. Bauer & Sons. Today, the corner is home to a Mobil gas station/car wash. The Pierson’s lived in Crystal Lake for more than 30 years. In 1872, they moved to Clinton, Iowa, where he continued his lifetime of community service. He was elected Mayor of the city in 1876, and in 1877 was elected City Treasurer. Mary Pierson died May 19, 1884 in Clinton, Iowa. She is buried next to the couple’s daughter, Eliza, in the Lake Avenue Cemetery, Crystal Lake. 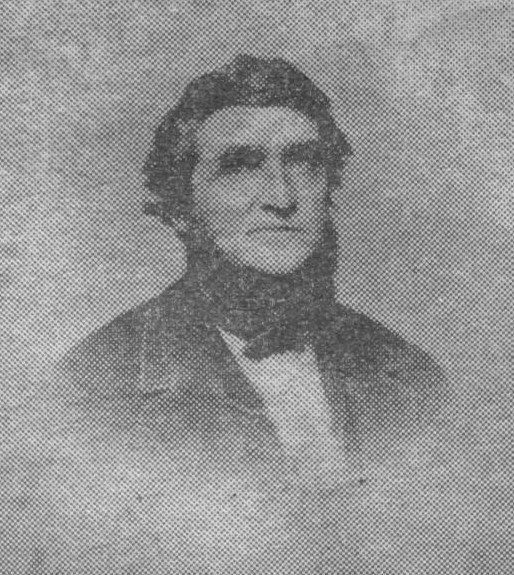 James T. Pierson died two years later on July 22, 1886. He is buried in the Springdale Cemetery, Clinton County, Iowa.